His name has always attracted attention but nothing compared to the craze he commands today. With four blockbusters, not mere super hits, in a row, box office is smiling at the 46-year-old like never before. The man's breaking his own records and an overwhelming percentage of the audience is head-over-heels in love with their beloved Bhai and his super-human antics, logic be damned, content be damned, sensibility be damned. Whether you're a fan or not is beside the point. Whether it's an encouraging precedent is not his problem. And yet the superstar isn't oblivious to the uncertainty in his field and impermanent temperament of success considering his constant assertions in interview that it's the viewers who make or break a film/star. He should know. He experienced heady stardom right at the onset only to be heartlessly dumped and subsequently taken back to engage in a half-hearted affair with movies till he found his true calling in the hollow but wolf-whistle inducing genre. Here's examining the highs and lows of the Ek Tha Tiger hero's career graph. But nothing could have prepared him for the mania he and his co-star Bhagyashree would generate by playing the supremely adorable Prem and Suman in Sooraj R Barjatya's blockbuster romance, Maine Pyar Kiya. The teenage heartthrob epithet continued to prosper even though his subsequent films Baaghi, Sanam Bewafa or Patthar Ke Phool were nowhere as massive. But with the enthusiastic response to love triangle Saajan co-starring Sanjay Dutt and Madhuri Dixit, Salman tasted mega success yet again. But the law of averages came sooner than expected. The next few years were nothing short of torturous on his career. All his films -- Love, Ek Ladka Ek Ladki, Suryavanshi, Jagruti, Nischay, Sangdil Sanam, Dil Tera Aashiq, Chandramukhi, one by one crashed at the box office leading many industry know-alls to dismiss him as another Kumar Gaurav. While he earned fair approval for his intense act in Love and comic value in ELEL, his choice of scripts sorely let him down. Truth be told, some of these films were truly horrific and reveal a predilection for doltish projects. Only at that juncture, neither his fortune nor his confidence stood on steady ground. Again, Barjatya came to our man's rescue with Hum Aapke Hain Koun ...! giving him a role he always gets right -- Prem. As the happy-go-lucky boy-next-door belonging to a cozy joint family who falls for his Bhabhi's sister during a prolonged series of ceremonies and functions, Salman oozed effortless charm to impress both Madhuri Dixit and the audience in one of the highest-grossing films of Bollywood. The same year also saw the release of Rajkumar Santoshi's shockingly underrated comedy, Andaz Apna Apna co-starring Aamir Khan, Raveena Tandon and Karisma Kapoor. Despite the A-list case and non-stop supply of humour, AAA opened to an underwhelming box office. Over the years, of course, it's gone on to become one of the most celebrated films of its time. While Salman Khan's celebrity was never in question, his knack for controversies wove a constant negativity around him and his credibility. And for all its worth, despite his indiscretions, he didn't really tom-tom his star status or accomplishments. Maybe this lack of apparent aspiration, unlike his more vocal colleagues, resulted in others walking away with a greater chunk of credit. All that changed quite a bit with Karan Arjun wherein Salman's all-new, beefed-up physicality and silent, tough guy act as Shah Rukh Khan's also reincarnated brother caught everyone's attention. The latter didn't mind since in another 10 months Dilwale Dulhania Le Jayenge would happen and he'd be least bothered by competition for a long, long time. 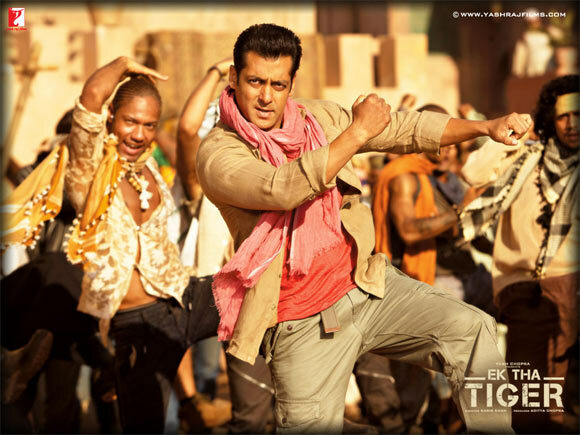 Meanwhile, Salman continued to sparkle and fizzle maintaining a career graph as mercurial as his temper. On one hand, his beloved action project Veergati, in which he did a genuinely good job, failed to work. While on the other, leaving Sunny Deol to handle all the bam-wham in Jeet while he romanced Karisma Kapoor in Switzerland proved to be rather fruitful for the actor. Again, Sanjay Leela Bhansali's Khamoshi exhibited one of his most gentle performances but the film, accolades notwithstanding, didn't click. At the same time his over-the-topic antics as a pair of twins in David Dhawan's Judwaa established his credentials as a comic/hero. Late 1990s and early 2000s was exclusively about 'love shove' for the actor as he appeared in a series of romantic dramas and comedies with long-winding titles (may or may not) inspired by popular songs. Pyaar Kiya To Darna Kya, Jab Pyaar Kisise Hota Hai, Kuch Kuch Hota Hai (though only an extended special appearance, it ranks among one of his best works), Janam Samjha Karo, Hum Dil De Chuke Sanam, Hum Saath Saath Hai and Dulhan Hum Le Jayenge, Har Dil Jo Pyaar Karega, Chori Chori Chupke Chupke, Tumko Bhool Na Payenge and Hum Tumhare Hain Sanam. From this heap, Hum Dil De Chuke Sanam stood out most for its resplendent visuals and Salman's dazzling chemistry with Aishwarya Rai, which ultimately ended in sour personal-gone-public equations. In between, the superstar provided some comic relief as the philandering, two-timing husband in David Dhawan's Biwi No 1 bolstered by the presence of Karisma, Anil Kapoor, Sushmita Sen and Tabu (hit) and a friendly ghost with unfinished business in home production, Hello Brother (miss). After a lukewarm to indifferent entry in the new millennium and some heavy-duty legal scandals (drunk driving, hunting endangered species) to contend with, Salman finally had something worthwhile to his credit. A hit film. 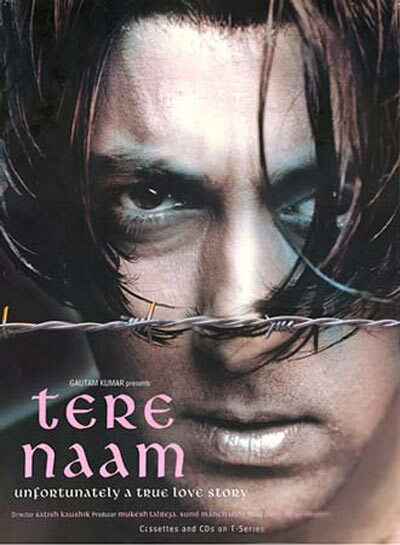 Despite the hideous hairstyle and the film's high-pitched contents, Tere Naam, a remake of Tamil hit Sethu, Salman's forceful portrayal earned him abundant praise and Best Actor nominations. Following it up with a short but sweet guest part in Amitabh Bachchan starrer Baghban didn't hurt either. Failures like Dil Ne Jise Apna Kaha, Phir Milenge, Garv, Marigold, Shaadi Karke Phans Gaya Yaar, Salaam-E-Ishq, Baabul, Jaan-E-Mann continued to plague him in huge numbers, comedy (preferably Dhawan-helmed) continued to salvage Salman's position as he engaged in a cat-and-mouse game with Akshay Kumar/Sohail Khan/Govinda in Mujhse Shaadi Karogi, Maine Pyaar Kyun Kiya and Partner. Not to forget his hilarious contribution to Anees Bazmee farce, No Entry. The year 2008 was uninterrupted fiasco what with Yuvvraaj, God Tussi Great Ho and even special appearances in Hello and Heroes, bombing badly (and understandably) at the box office. But by now you must have noticed just when you think he's out, he bounces back with double the force. And that's precisely what has happened since then. With his 2009 release Wanted, Salman reinvented and heightened his appeal with renewed swagger and badass attitude that, for better or worse, has redefined the dynamics of entertainment in Bollywood. It's not like he's not faltered after Wanted. London Dreams, Main Aur Mrs Khanna and Veer weren't accepted. But his work as the self-styled cop Chulbul Pandey in Dabangg achieved the right tone of exaggeration ensuring everything he's featured in turns gold. That explains the phenomenal response to Ready, Bodyguard and now Ek Tha Tiger, which just went from enormous to epic in terms of ticket sales. Suddenly, Rs 100 crore openings became a hot topic of discussion in livings rooms, local trains and the ever-lively social network. From teenybopper sensation to Bhai, Salman Khan's 24-year-old rise/fall/rise/fall/META RISE story is a perfect example of you-never-know.